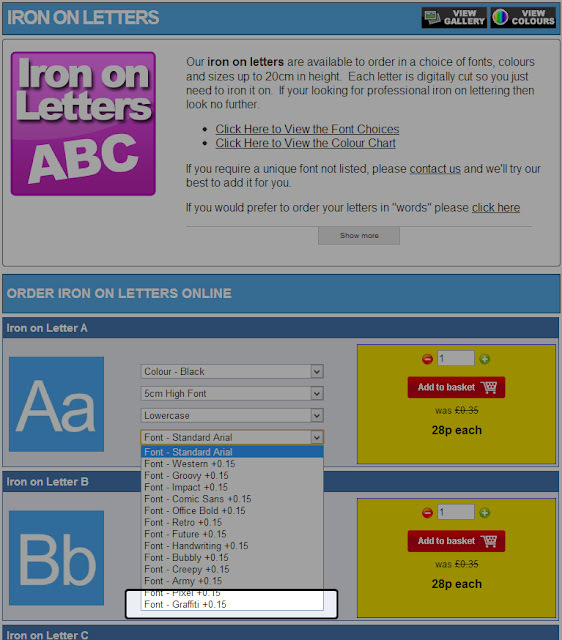 We are proud to add a new font to our range of iron on letters. The graffiti inspired font looks absolutely fantastic and can be ordered for exactly the same price as our other fonts. Available in all the same colours, the graffiti font will make a normal plain Hoody / T-Shirt look urban stylish. As with all our iron on transfers, you can order small 2cm letters or large 20cm letters - which are great for making your own flags. As an introductory offer, we would like to offer a 10% discount on all orders (can be used with our multi-buy discount). Please enter promotional code: GRAFFITI at the checkout.